Printed in color, Pictures to Stitches offers not only a table of contents and more than 700 pictures showing the steps in exercises, but also an index to help you find the information you want when you need it. About the author: Eve Gordon began Shibui Originals after escaping the digital grasps of the software world. Tired of choosing between comfort and making a splash, she returned to school and honed her skills for creating clothing to satisfy both needs for all types of women. Drawing on inspiration as diverse as ancient Chinese styles and Goth sensibilities, she creates styles not for the faint of heart but for the woman who wants to draw the attention of the room without breaking a sweat or feeling the pinch of a seam. About the Book: Before I started my embroidery business, I was a professional software trainer, courseware developer, and documentation specialist working nationally. 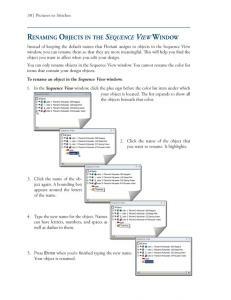 I’ve applied that experience to monthly Floriani software training classes, teaching private clients, digitizing designs for my own business, and writing the book *Pictures to Stitches: A guide to basic digitizing with Floriani Embroidery Suite Pro*. 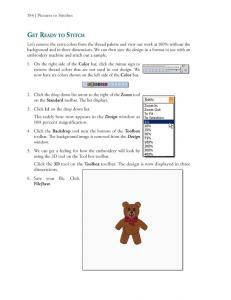 Pictures To Stitches by Eve Gordon, A Guide To Digitizing Basics With Floriani Embroidery Suite Pro. I got the order and I love it. Itwas delivered on Wed. It is great! Highly recommend it and all who helped me to get this order.